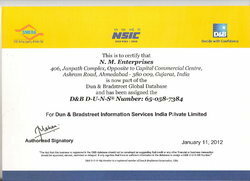 Incepted in the year 1978, as a water purification provider today NM Enterprises is one of the leading manufacturer and exporters of water treatment plants and chemicals with a wide range of products and technologies to provide total water solution. Since inception,NM Enterprises has paid close attention to its customer’s needs and to expand its products and services to meet their requirement for water treatment,purification and recycle.As a result our focus at NM is to establish knowledge based management. We are flexible,innovative,responsive and entrepreneurial organisation as we structure our business around the needs of our customers. Dedicated to purification of water and in turn protection of the environment, with over thousand of projects in almost all possible application of water treatment in every industry, NM has been combining systematically innovative technologies with economic products since last 3 decades. In a drive to become globally recognized service provider, we offer a complete bunch of technologies, manufacturing capabilities and project management covered under one roof. Motivated by the spirit of Enterprise, to become a global entity and establish the highest standard in the area of Water Management Business and to provide better values to our customers. Consistently grow by providing quality product and service of international standards so as to maintain high level of customer satisfaction and profitability. To establish long lasting relationship with our customers by providing them better products and services. Apart from these water treatment plants, we also undertake pre-post Water Treatment Consultancy, Designing, Fabrication and Servicing of Water Treatment Plants & Schemes. Our team is well trained for installation and is provided with latest equipment and instruments for performing their tasks.